The first thing that comes to mind when you think of Munich is probably the famous Oktoberfest. Whilst the biggest beer festival in the world — which attracts millions of visitors every year — is certainly an incomparable experience, the Bavarian capital has a lot more to offer! Although Munich is the third-largest city in Germany, its center is fairly small and very easy to explore by foot. At the city’s heart lies Marienplatz — Munich’s busiest square — bursting with cafés and restaurants. This square also marks one end of Kaufingerstraße — Germany’s most popular shopping street — which is full of both shops and historic landmarks, such as the old and new town halls. Be sure to check out the latter’s Glockenspiel, which chimes twice a day, displaying 32 life-sized figures to tell the tale of Munich’s history. 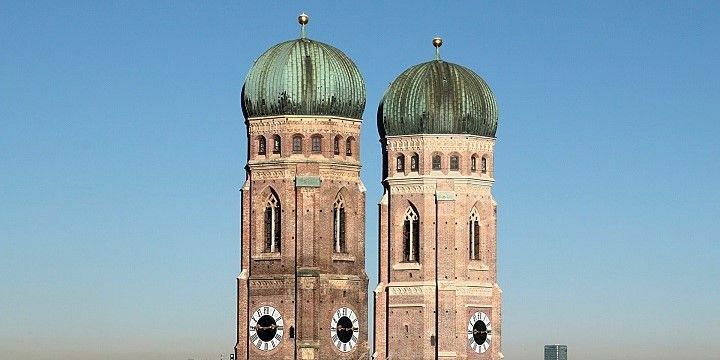 The Cathedral of Our Dear Lady is located in Munich's Old Town. Afterwards, head to the gothic Cathedral of Our Dear Lady, or the Church of St. Peter. Both buildings have observation decks, from which you can get an incredible view over the entire city, and — on a clear day — the stunning Alps. A short walk from Marienplatz lies the Residenz, where Bavarian dukes and kings lived between 1508 and 1918. Its ornate halls, treasure chamber, and theater are open to the public. Nymphenburg Castle used to be the royals' summer residence. 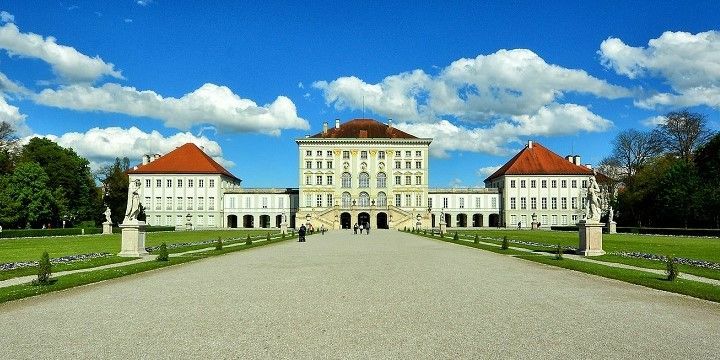 Meanwhile, the baroque Nymphenburg Castle is situated about twenty minutes from the city center and used to be the royals’ summer residence. Be sure to check out its beautiful interior and impressive gardens! The English Gardens — one of the largest parks in the world — are popular amongst locals and tourists alike. Here, you’ll find a beer garden, scenic walking routes, soothing streams, and beautiful lakes, as well as a nudist beach (though you can avoid this by sticking to the right side of the river). Whether you visit during summer or winter, be sure to check out the Eisbachwelle. Munich’s surfers take to this artificial wave all year round to practice their stunts and tricks for supportive onlookers. 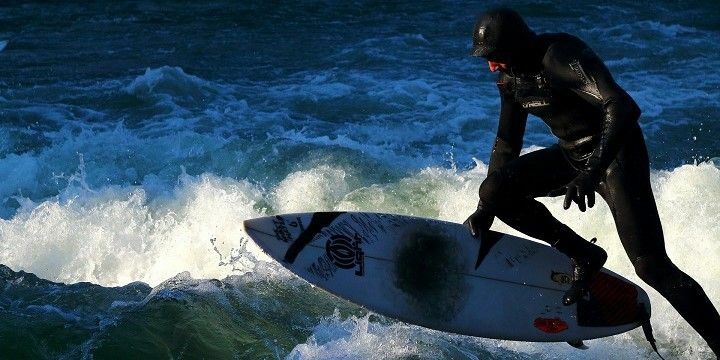 The Eisbachwelle is an artifical wave for surfers. If you’re after some more greenery, head over to the Olympic Park, the location of the 1972 Summer Olympics. Its facilities and arena are still open to visitors today, whilst the Olympic Tower — the second largest building in Bavaria — offers tourists an incredible panoramic view of the city. Be sure to check out one of Munich’s many breweries for tasty beer and hearty Bavarian food. The most famous of these is the Hofbräuhaus in the Old Town, which offers space for over 3,000 guests! If you’re planning a summer visit, don’t miss out on the city’s beer gardens: perfect for a warm summer’s evening. If you’re not in the mood to head home afterwards, the city is full of bars, pubs and clubs. Prices and atmospheres vary depending on location, from laid-back bars in the student area, to glamorous clubs in areas such as Altstadt-Lehel and Maximilianplatz, where you even might spot a celebrity. Munich is surrounded by beautiful lakes — such as Starnberger See, Tegernsee, Schliersee, and Chiemsee — which are perfect for a summer day trip! The latter is home to both the Men’s Island (with its own Palace of Versailles replica) and the Women’s Island (with a beautiful, eighth century abbey). 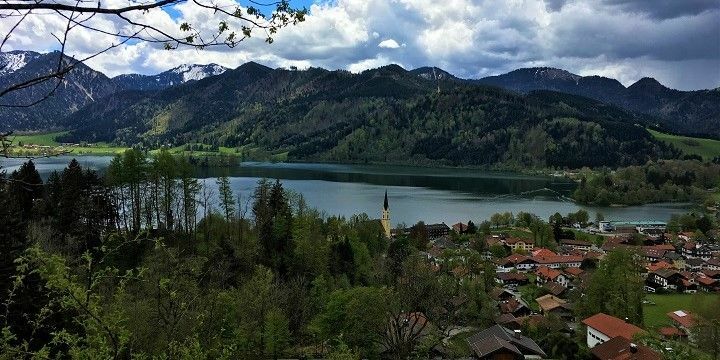 The Schliersee is a great day trip from Munich. The Neuschwanstein Castle is also a close day trip destination. This is one of southern Germany's most popular sites, as it featured in the film Chitty Chitty Bang Bang, and inspired Walt Disney to create his Magic Kingdom. Several impressive mountains surround the castle, such as Germany’s highest peak — the Zugspitze (2,962m) — which is a great destination for a summer hike or winter ski. If NextStop24 helped you to choose your next travel destination, we'd be very grateful if you’d search for your accommodation and things to do in Munich through these links. They're affiliate links, which means that we will receive a small commission for every booking made through them. There are no extra costs for you; you'll simply be helping to keep NextStop24 running. Thanks! Impressive architecture, good food and very easy to get around using the underground. I've been twice and enjoyed exploring both times. Would particularly recommend the BMW museum! As well as all the main sights, I'd recommend checking out Olympiaberg for (free) amazing views over the city. Also, if the weather's nice, take the S Bahn to Starnberg Lake!